Dystopian scenarios are becoming ever more frequent. And for good reason. Writers and artists are often the ones who can see further ahead than the rest of us, who can predict the coming storms. 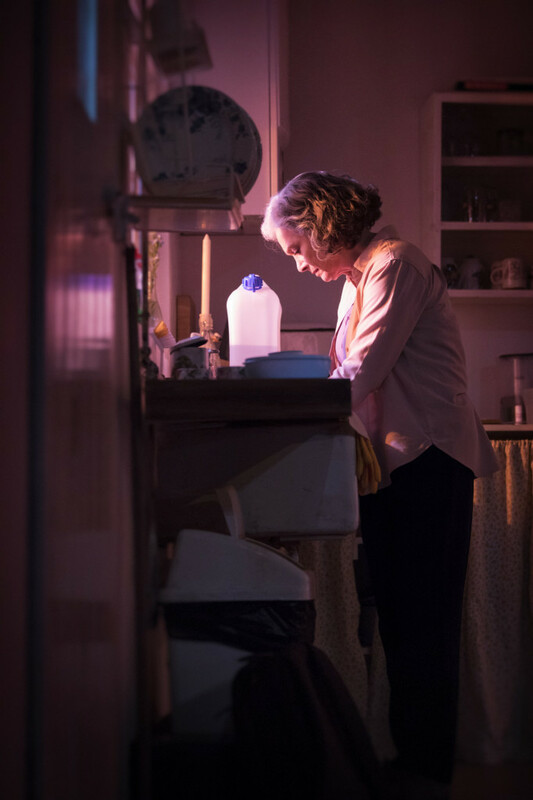 If George Orwell was the great Cassandra of state surveillance, Caryl Churchill has been the one in our lifetime who environmentally in Far Away and recently in Escaped Alone has seen the way the world might end. 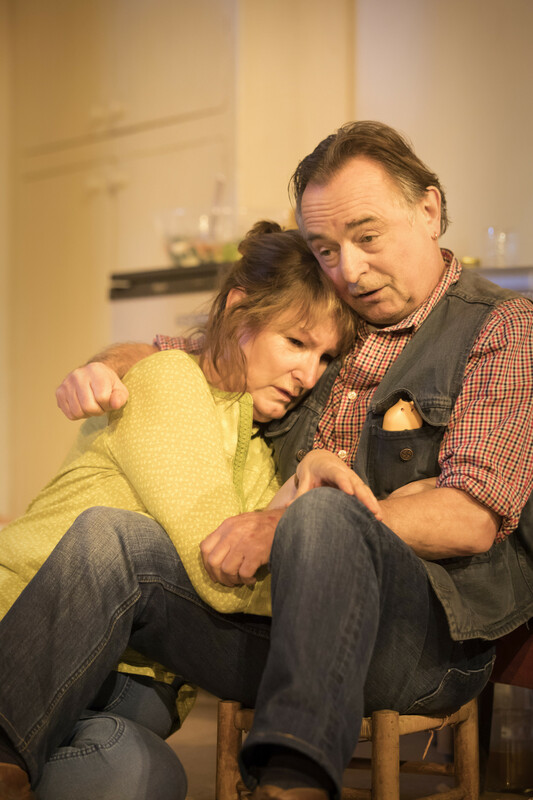 There have been a host of others – Steve Waters (The Contingency Plan), Richard Bean (Heretic) to name but two and now Lucy Kirkwood (of Chimerica fame) joins them with this deceptively comic-domestic love triangle. Taking her cue perhaps from the nuclear threat caused by the Japanese tsunami five years ago, Kirkwood relocates it to an English coast, unspecified but possibly Dungeness. On the surface, all appears tranquil – the light, the bare white walls of Miriam Buether’s cottage set – but beneath this rustic idyll lies a disaster, just spent and impending. A great wave has engulfed the coast with consequent damage to the nearby nuclear power plant. 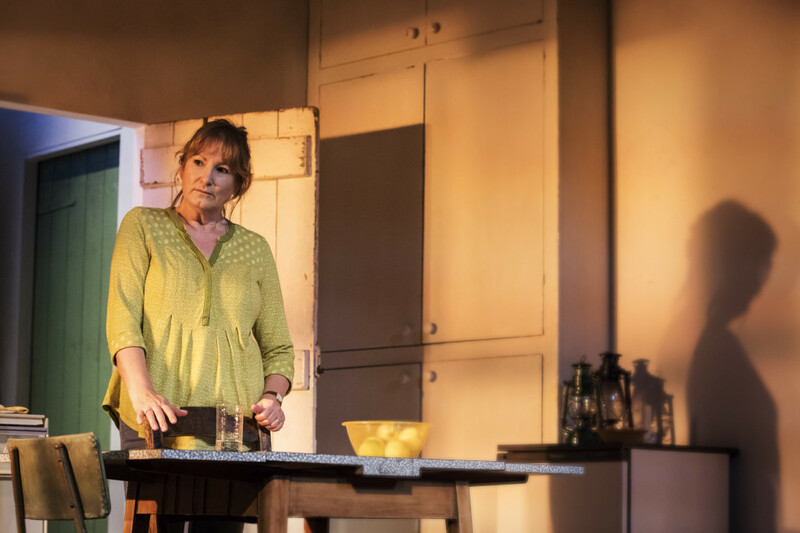 Within this framework, Kirkwood builds a wonderfully delicate portrait of love, marriage and tensions boiling under the skin of the cottage’s chatelaine, the ineffable Deborah Findlay, her farming, home wine-making husband, Ron Cook and the visitor, Francesca Annis’ Rose who arrives on their doorstep with a request that really stands as a metaphor for the `baby boomers’ versus `millenials’ debate. In its unforced, almost genteel way, Kirkwood’s The Children is saying it’s not just a question of an `ageing population’ taking up space but asking what are we bequeathing to the next generation? what are the limits of our responsibilities to them? The answer, according to Kirkwood, is an uncomfortable one as voiced by Annis’ Rose – nothing less than sacrifice. Sometimes she is in danger of over-ladling her argument with her handling of Rose and Robin’s physical predicaments (cancer, in both cases). But equally, Robin’s description of our mortal elements couldn’t be more refreshingly trenchant and lacking in cant. Still, the greatest gift of James Macdonald’s once again meticulously paced production is encompassed in the figure of Findlay. Whether cutting a loaf, creating a salad, or simply being, Findlay manages to embody lifetimes of maternal wealth stored up in keeping a house together, children fed, husbands satisfied. And as in Churchill’s Escaped Alone when the four women, amidst visions of global catastrophe, sing a song together they all remember from youth, so the sight of Findlay, Annis and Cook in a sparky, delightful dance routine speaks volumes about the past and ageing. This indeed may be the way the world ends in Britain, engulfed in watery graves. In its quiet way, Kirkwood’s The Children is sounding an eloquent warning. We have been warned. 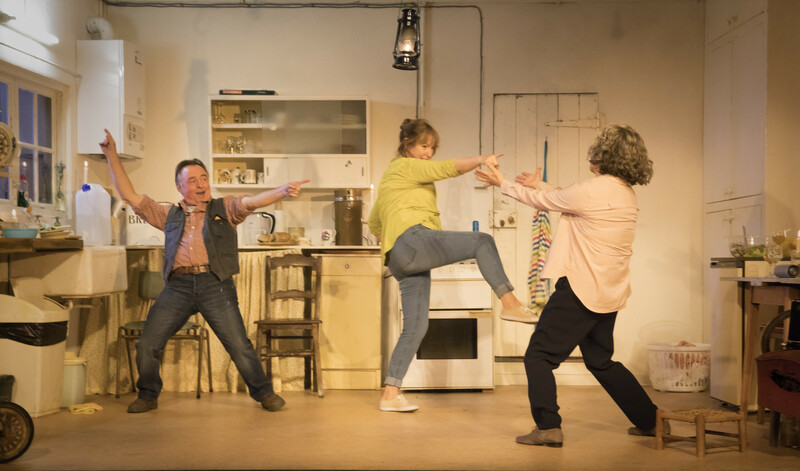 This entry was posted in 2016, Reviews and tagged Deborah Findlay, Dungeness, environmental domestic `comedy', Francesca Annis, James Macdonald, Japanese tsunami, love triangle, Lucy Kirkwood, Miriam Buether, Ron Cook, Royal Court Jerwood Theatre Downstairs on December 3, 2016 by Carole Woddis.